Hello everyone, I am back after a long *ahem* break! I hope everyone had a wonderful Christmas (or just enjoyed a few days off if you don’t celebrate) and had a fabulous New Years! I did stuff myself silly with plenty of roast chicken, yorkshire puds and plenty of potatoes – so I was in a bit of a food coma for about three days. Then it came to New Years. And I had the flu. Not only did I have the flu, I also managed to develop a lovely chest infection and tonsillitis along the way, so my New Year’s Eve consisted of being slumped over the doctor’s desk getting my germs everywhere as she prescribed me a lot of medication to take. So not a great start to the new year I must admit! 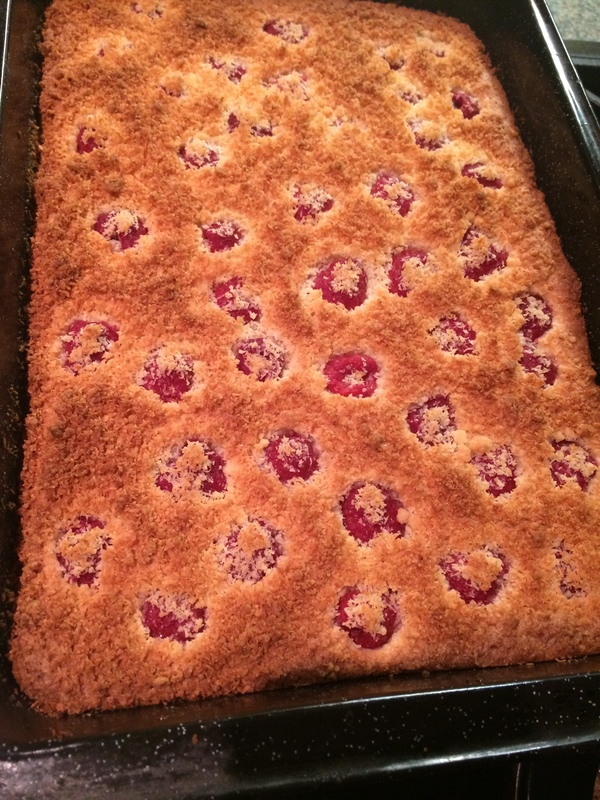 I visited my sister a few weeks back and she usually insists that I bake something (and I usually insist on not being forced to bake brownies for the umpteenth time) so we came to an agreement on a recipe she found on BBC Good Food for a raspberry and almond traybake. I preheated my fan oven to 160°C (180°C/gas 4 for other ovens) and then greased an oblong cake tin with a little butter and then set that aside. 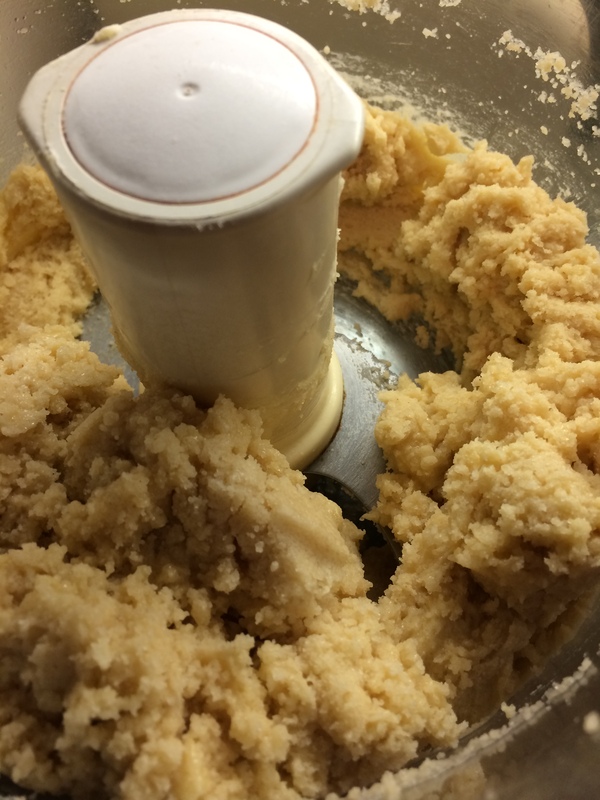 I then added the flour, ground almonds, butter and sugar into the food processor and then blitzed until the butter was evenly distributed. 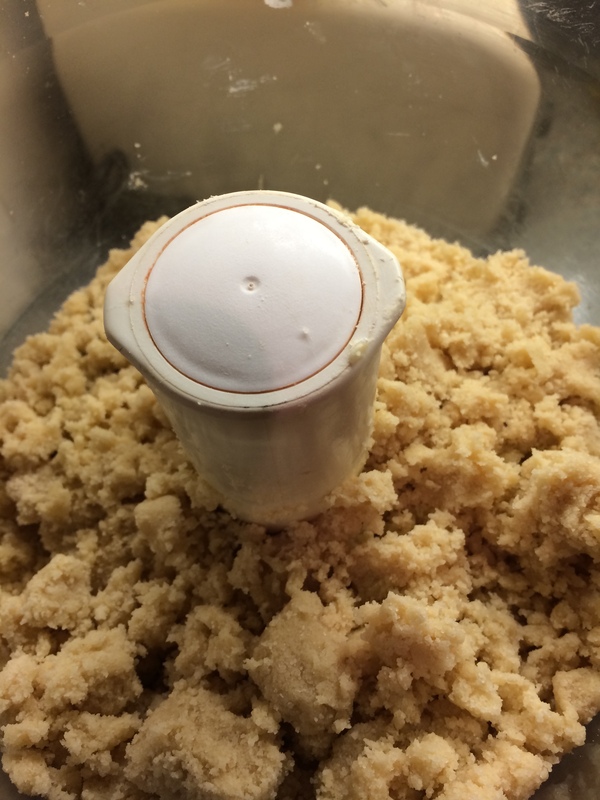 (If you don’t have a food processor you can just rub the ingredients together with your hands). 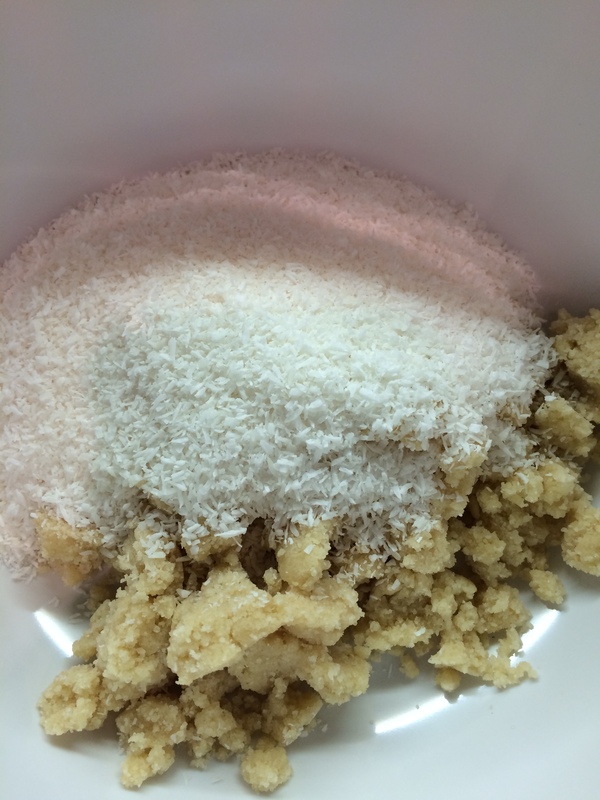 I took out 85g/3oz of the mixture and put it in a bowl and then stirred in the coconut. (I had to actually use my hands for this part as the mixture was quite tough to be able to stir in the coconut. 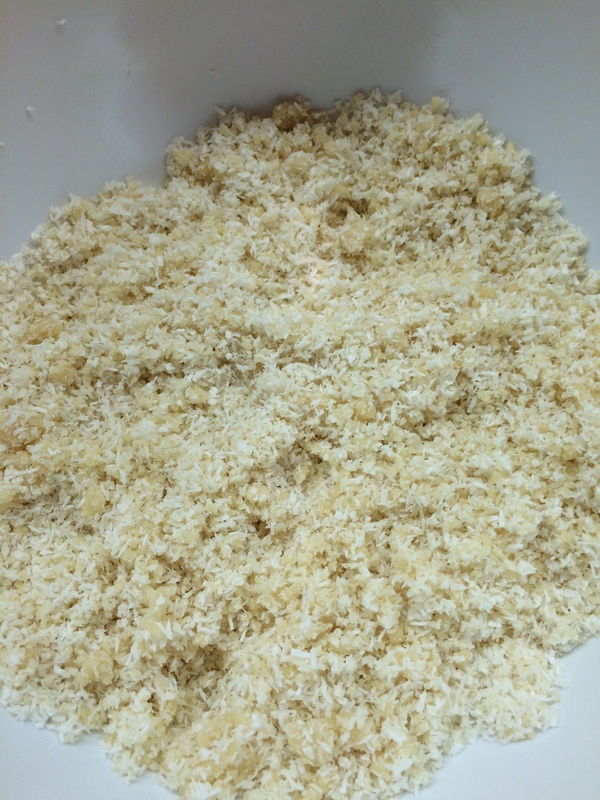 I just simply rubs the ingredients together until they resembled breadcrumbs). 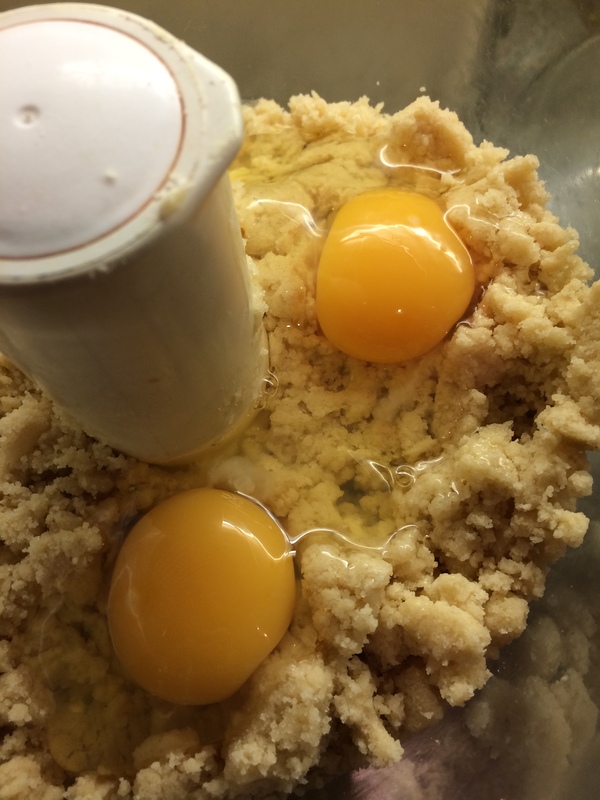 I added the eggs to the remaining mixture in the food processor and gave it a quick whizz (again, if you don’t have a food processor you can just use a good ol’ wooden spoon to give it a mix). 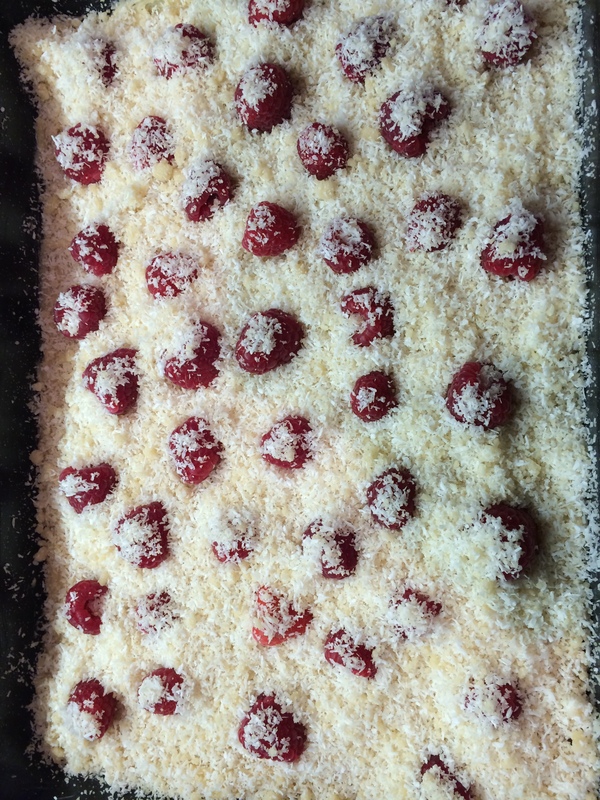 I took out the mixture from the food processor and then spread this in the base of the tin as evenly as possible before scattering half the raspberries on top, followed by the coconut mixture. I then baked it for about 45 minutes. 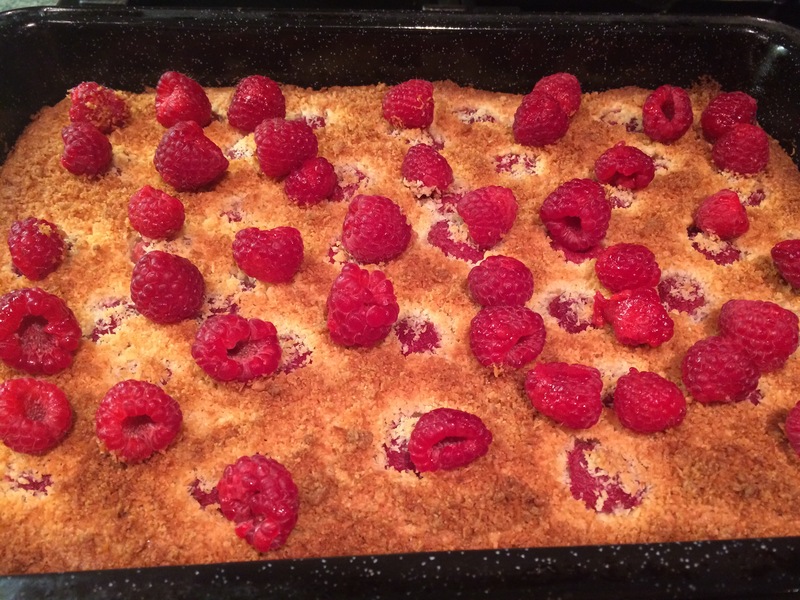 I then added the remaining raspberries over the surface and sprinkled some golden granulated sugar for extra crunch and then baked for a further 15 minutes until they were firm to the touch and golden. 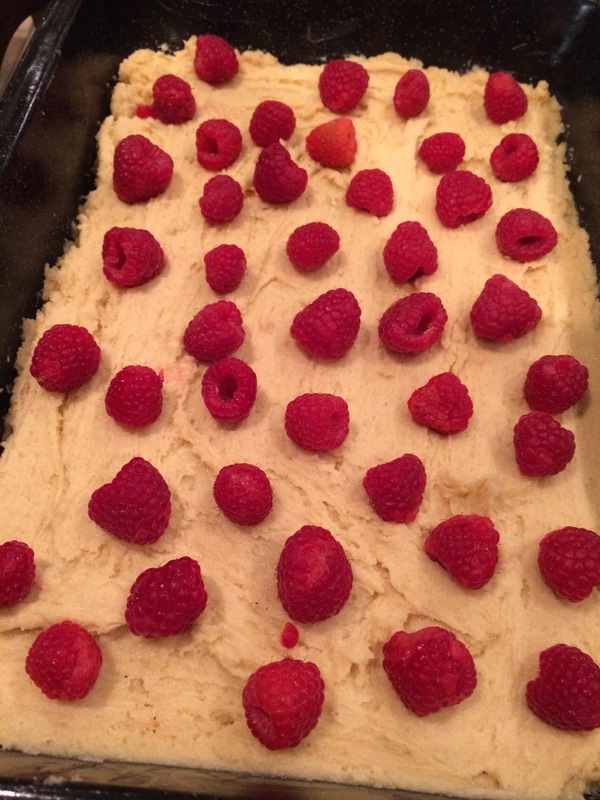 Once the traybake cooled, I cut it into small slices and served with tea and coffee after dinner – it was so nice that everyone had seconds (and thirds!). 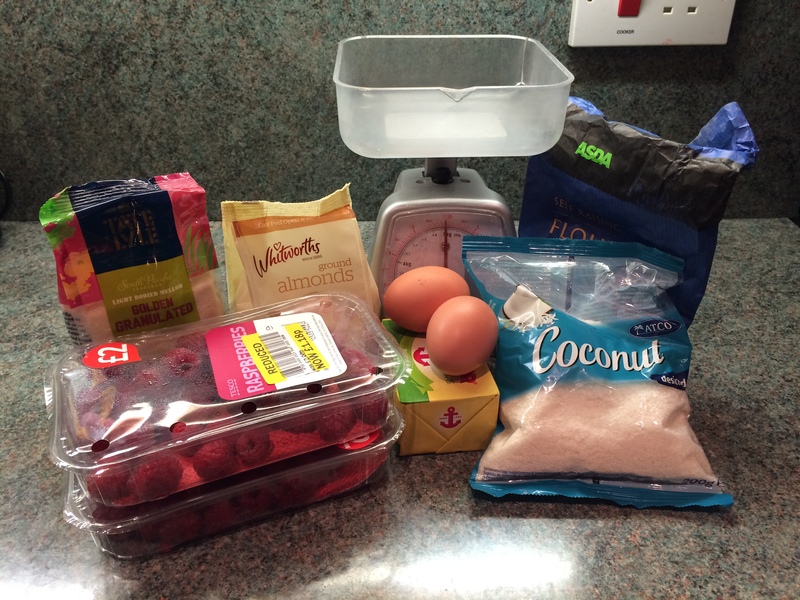 This is such a quick and simple recipe to try with really yummy results – so if you are ever stuck for quick dessert ideas you should give this one a go. I might try it again but using different fruits – I’m sure it will be equally delicious.